Sustainable Saunders » Blog Archive » JD pulling a Ted Danson? JD pulling a Ted Danson? by jamiesaunders ~ October 28th, 2010. Filed under: Uncategorized. This post relates to a discussion that took place in my Sustainability Marketing class earlier this month. The topic of discussion was Jack Daniels’ very discreet sustainable practices. 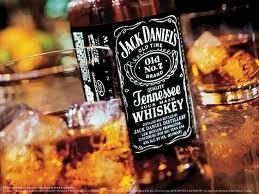 Jack Daniels is not regarded as a green company, but it should be. At its small distillery in Lynchburg, Tennessee, 99% of waste is reused. The question was posed: “Why doesn’t Jack Daniels promote its green initiatives like Coca-Cola or Walmart?” There is no mention of sustainability in any of Jack Daniels’ advertisements or on any of its packaging. Most companies would flaunt such admirable and positive company attributes wherever possible. It was later revealed in the class discussion that Jack Daniels went to the 2010 Sustainable Brand Conference and put its green practices on display. Why? Was it pulling a Ted Danson? 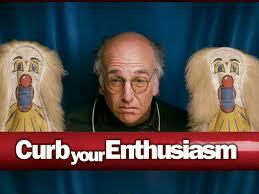 Please watch the following five minute clip from an episode of Curb Your Enthusiasm to find out what a “Ted Danson” is. If you couldn’t a take the time to watch this clip, Ted Danson made a sizable anonymous donation to the NRDC. He told a few close friends that he was the anonymous contributor and word spread. As a result he received more admiration than the other named contributor because his donation was believed to be out of the goodness of his heart. As I was watching this episode, I immediately thought of Jack Daniels and how it is taking Ted Danson’s approach. Jack Daniels is keeping sustainability out of its promotions (keeping his name off the wing) and talking about it at a prominent conference (telling a few close friends). As a result, other people will be the ones singing Jack Daniels praises, as opposed to Jack Daniels boasting about how great it is. People tend to look favorably upon this kind of modesty and genuineness. In addition, many individuals who attend these types of conferences have loud voices and platforms within the green community. Apparently the news has spread because I am sitting here doing free grass-roots marketing for Jack Daniels right now. Nevertheless, as I have mentioned in earlier posts, I prefer this more subtle approach to green marketing; however, I think Larry David might disagree.